As the capital of Croatia, Zagreb is most definitely an important city and has been for many years, as you will be able to see from the impressive architecture. With each large city comes a selection of excellent attractions, activities, restaurants, shops and of course a thriving nightlife, so get ready to experience all of the above during your Zagreb holiday. Take a trip to the Medvedgrad fortress town on the side of Medvednica Mountain, visit the local zoo at Maksimire Park, check out the many museums, explore the Medieval streets and watch the latest films at one of the cinemas. If you’re feeling active, enjoy the many walking routes in the area surrounding the city or venture a little further a field on one of the bicycle tours, which will show you a different side to the city. If you don’t mind travelling, you will even be able to get to the coast fairly quickly, allowing you the opportunity to try out some of Croatia’s beaches and maybe even go on a boat trip! Once you’ve experienced it all, you will no doubt fall in love with this wondrous city and will want to come back again and again. This popular capital city is divided into two main parts. Upper Town is where you will find much of the medieval architecture, galleries, museums and sites such as the stunning presidential palace. Lower Town is more about business, with its office buildings but it’s also where you will find the majority of the cafes, restaurants and shops, which are a big attraction to all of the visitors. The archaeological museum makes a real treat of an attraction, as it houses almost half a million artifacts and although not all of them are on display, there are still more than enough to make a fascinating day out complete. The most famous exhibit here is the Zagreb mummy and there are many more to discover. 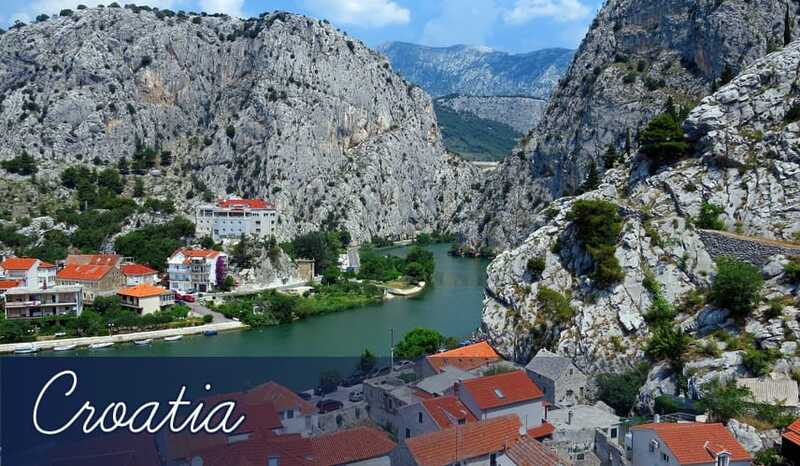 There is also the Croatian Museum of Art, the Modern Gallery and the Mimara Museum, which houses a selection of incredible paintings from some very well known names. This is the largest park within Zagreb and the perfect place for a quiet afternoon stroll in the sun. There are plenty of places where you can sit down with a picnic and it’s even home to Zagreb Zoo where you can see a selection of animals enjoying the great weather. The impressive mountain of Medvednica stands high above the city and is home to the fortified town of Medvedgrad. It’s an excellent place to visit especially if you love walking, as there are many hiking and walking trails heading up the mountain towards the town. After exploring the town, why not head up to the top of the mountain where you will find restaurants, cafes and many beautiful views across the surrounding landscape. There are many, many places around the city where you can enjoy a pleasant walk. Once you’ve strolled around the streets and explore the back alleys then why not move on to one of the local parks and visit the city zoo at Maksimir Park. The local lakes are also ideal destinations for walking and they offer a super-relaxing atmosphere as well. Mirogoj is the city cemetery and although it may sound a little morbid, is definitely worth visiting for a walk around, as you will no doubt be very impressed by the architecture here. If you would rather avoid this, why not head straight to mount Medvednica and start making your way to the fortified town on its side or to the restaurant at the top. If you love friendly competition and need to let the kids burn off some energy, there is a local karting arena with a track that’s sure to impress even the most experienced kart driver! Speed around the course and race your friends or family to see who can get the fastest time! For those who like to live life to the extreme, Zagreb offers some superb sky diving opportunities where you will get to see the beauty of the city and surrounding area all at once! Tandem skydives are ideal if you’ve never tried it before but once you’ve had a go be warned, you will probably be addicted! If you prefer something a little more relaxed and closer to the ground, the local cinemas are a great way to pass the time. You can enjoy some of the latest films without having to worry about them being dubbed, as they are primarily just subtitled allowing you to enjoy them in English. Although Zagreb is not a coastal city and offers enough entertainment for the lack of beaches not to be an issue, the coast is relatively close if you would like to make the journey to experience one of Croatia’s beaches. The trip to a decent beach can be at least two hours, so we recommend visiting a coastal resort if your main aim is to relax next to the sea. Zagreb boasts the best selection of restaurants in the country, making it the number one spot for those who appreciate culinary delights. Whether you fancy a tasty burger and chips, an irresistible steak, some supreme sushi or perfect pasta, there is a restaurant to suit your tastes. A trip to Croatia wouldn’t be complete without trying some of the traditional Croatian dishes and thankfully there are many restaurants that offer traditional menus. The Vinodol restaurant is well known for it’s delicious Croatian dishes cooked in a traditional way and thanks to its location in the centre of the city, it’s easy to get to from all over. Restaurant Paviljon is another excellent place to experience the Croatian taste, as well as a number of international dishes prepared and cooked fresh throughout the day. If you love Italian food, Cantinetta is the place for you, as it focuses in many types of Italian dishes, all with fresh ingredients. Takenoko makes a great choice if you love Japanese food and Pirates Karaka and Dubravkin Put are where you want to be for fresh seafood dishes. There are many more restaurants offering various menus to be experienced in Zagreb, with many inside and outside of the city. Zagreb is a large city and with large cities comes a large nightlife with clubs, bars and pubs! If you’re looking for world famous DJ’s and sets that will keep you going all night long then the Aquarius Club will definitely be your kind of thing! Music here consists of all sorts but mainly international tracks, R&B and also hip hop are some of the favourite genres. The Gallery club is also nearby and gives Aquarius a run for its money! Here you will also find top shows and a great atmosphere. If you’re lucky, you may even see a celebrity or two! Peppermint is another popular club spread across two floors, which offers a friendly and sociable atmosphere. Try the hip hop parties at Mansion or enjoy the jazz at the BP Club. If you like to gamble then the Grand Casino is the place you should head to for an enjoyable evening of poker and other popular card games. If you prefer to simply socialise and taste fine cognacs and other spirits pay a visit to the Jackie Brown bar. Check out the jazz music at Skola or discover the cocktails at the Hemingway Lounge Bar. No matter what kind of nightlife you’re into, Zagreb has it all! As you would expect from any major capital city, Zagreb boasts a huge selection of shops, ranging from independent boutiques to large shopping malls. Kaptol Centar is one of the most popular shopping centres in the city, as it offers an impressive number of shops offering everything from designer clothes to food and drinks. There is a cinema here if you fancy catching a movie and a supermarket too for when you need to buy those essential extras. One thing many of us love to do while on holiday is to read, so why not stop off at Algoritam, a well-known bookshop that stocks an excellent selection. Here you are sure to find something of interest and there are also plenty of magazines if you fancy a quick read of something without having to commit to a whole book. Radiceva Street is the place to be for souvenir shops and independent shops. Find paintings, gifts, clothes and more on this quaint little street and take your time to browse each. If you prefer markets, you’re in luck, as there is an antique market every Sunday and if you want to try some fresh produce, the farmers market takes place every Friday and Saturday.